Friday 18 June 2004, by VISWANATHAN*S.
Verdict 2004 stops Chief Minister Jayalalithaa dead in her tracks and makes her reverse some of the reform-oriented steps taken by her government in Tamil Nadu. WHEN the Bharatiya Janata Party-All India Anna Dravida Munnetra Kazhagam combine drew a blank in the Lok Sabha elections, the BJP leadership sought to belittle the verdict by stating that the electoral battle in Tamil Nadu was fought only on "local" issues. Reinforcing this view, somewhat was the contention of the Dravida Munnetra Kazhagam (DMK) and some of its allies that it was essentially a vote against the Jayalalithaa government’s mishandling of the severe drought in the State for the past three years and the related issue of its failure to ensure supply of the Cauvery water to farmers in Thanjavur. 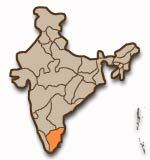 It is true to a large extent that the Tamil Nadu electorate had voted on "local issues", but most of these issues, such as the agrarian crisis, the paucity of irrigation water, the hike in power tariff, the failure of the public distribution system (PDS) and the growing unemployment problem have not been peculiar to the State. Indeed, these issues are directly linked to the neo-liberal economic policies being pursued vigorously by successive Union governments for the past 10 years. Although shocked by the verdict, Chief Minister and AIADMK general secretary Jayalalithaa sought to comfort herself by claiming that the people had, after all, voted for change at the Centre. However, a couple of days later she withdrew many of the measures that cost her heavily at the hustings. The government, in one stroke, removed the income ceiling of Rs.5,000 a month for receiving supplies under the PDS, restored free power supply to agriculturists and hut-dwellers; ordered the resumption of free travel passes for students in State-owned bus services; withdrew cases and penal action against State government employees and teachers who went on a strike in 2003; dropped cases filed against leaders of political parties on charges of instigating the government employees strike work and the large number of defamation cases against newspapers and periodicals (the government gave an assurance that the privilege motions against The Hindu would also be dropped); and rescinded the State Act that banned "forcible" religious conversions. The Chief Minister’s response brought cheer to the various sections of affected people. People from the minority communities were happy that the anti-conversion Act had been withdrawn. Not surprisingly, the Hindu Munnani questioned the wisdom of scrapping the Act. The Opposition parties welcomed the rollbacks, pointing out that they had been opposing those measures from the beginning and that Jayalalithaa had at last bowed to the people’s verdict. A.K. Padmanabhan, vice-president of the State unit of the Centre of Indian Trade Unions (CITU), pointed out that all these measures had been linked to the reforms process under the Centre’s neo-liberal economic policy and that Jayalalithaa became a votary of this policy a few months after she assumed charge as Chief Minister for the second time in 2001. The Tamil Nadu verdict, therefore, is as much a rejection of the Vajpayee government’s economic policies as a negation of what the Opposition describes as "authoritarian and anti-people policies" of the Jayalalithaa government. Interestingly, Jayalalithaa came to power in 2001 by campaigning against the policies of liberalisation, privatisation and globalisation. During the election campaign she used to remind the people that in her first stint as Chief Minister in 1991 she opposed the liberalisation policy and was, in fact, a vehement critic of the World Trade Organisation accord. WHEN she became Chief Minister again in 2001, the country was into the reforms regime for over a decade and the "second stage of reform" was being contemplated. One of the core components of the second stage of reforms is "labour reform" - taming the labour force by curtailing its collective strength and serving the interests of trade and industry. After some initial hesitation, she chose to back the reforms regime. That she was firm on this became evident in October-November 2001, when the government suppressed a strike by employees of the State transport corporations called to protest against a drastic cut in bonus. Many other benefits, such as festival advance, enjoyed by government employees and workers of government-owned undertakings were either withdrawn or drastically reduced on the grounds that the State was going through a financial crunch, which, Jayalalithaa said, her government had inherited from the previous government led by the DMK. The employees’ efforts to highlight their plight through memorandums, public meetings, demonstrations and even a day’s token strike did not move the government. Instead, it enacted the draconian Tamil Nadu Essential Services Maintenance Act (TESMA) about six months later. In November 2002 the government took one more major initiative to further the reforms process by announcing a plan to downsize the operations of the 21 government-run road transport corporations. The ultimate aim was to denationalise the public transport system in the State, one of the best-run services in the country. The proposal, which came in the form of a Gazette Extraordinary, was said to be based on the recommendations of a high-level committee headed by the Chief Secretary after a "detailed" study of the finances of the corporations, most of which have been reporting losses for many years. Announcing, in the State Assembly on May 3, the decision to form the committee, Transport Minister R. Viswanathan said, amidst protests from the Opposition that the government would go in for "structural reforms" - a euphemism for "privatisation". This had upset a lakh employees of these corporations. They protested and warned of an agitation against the move. The notification was challenged in the Madras High Court. Nine days later, Jayalalithaa clarified that there would be no privatisation of the transport corporations and what the government proposed to do was "to privatise" select routes and services. In 2003 the government issued an order that radically altered the rules governing the computation of the employees’ terminal benefits, such as pension and gratuity. The G.O. led to a massive strike by over a million government employees, which was suppressed. Thousands of employees and teachers were arrested and lakhs of them were dismissed from service (Frontline, August 1, 2003). Then came the startling Supreme Court judgment that denied the workers their right to strike. The ruthlessness with which the strike was suppressed proved in no uncertain terms the government’s eagerness to take the State more aggressively on the path of the second stage of the structural reforms. The actions against the government employees, teachers and transport workers were seen as a clear warning against the working class as a whole. In fact, the government’s "firm" handling of the strike was commended by industrial and business bodies, which wanted the government to enact laws that will enable them to take similar action against striking workers. The government’s reform-oriented moves in other areas also affected a large number of people. The withdrawal of free supply of electricity to agriculturists,, particularly when they were reeling under unprecedented drought conditions, came as a cruel shock to them. "The denial of free electricity to agriculturists was a clear signal that the State government would go by the book," said Padmanabhan. This was also part of the reforms package. In the press release that carried the roll-back decision the Chief Minister referred to the compulsions under which she had to stop free supply of electricity. The government, she said, had to resort to the move after it failed to convince the Tamil Nadu Electricity Regulatory Commission, because the Commission had to go by the principles laid down by the Electricity Regulatory Commissions Act, 1998 . The attack on the PDS, again as part of the reforms process, was the unkindest cut of all. The income ceiling of Rs.5,000 was considered too low by any standards. The ceiling excluded large sections of workers whose real wages were lower than this and insufficient for a family. Trade union leaders expect even more sincere action from the government to demonstrate that it had really learnt the lessons from Verdict 2004. They point out that the draconian TESMA is still in the statute book. Even as they appreciate the government’s action in retracing the "anti-people" and "authoritarian" measures, they want it to take affirmative action in redressing the grievances of the workers, marginal farmers and farm workers. Although the cases against government employees have been withdrawn and the punishments meted out to them have been dropped, their basic demands remained unmet. They did not fight for new demands; instead, they wanted the restoration of the existing benefits that were withdrawn. Trade union leaders expect the government to renegotiate wage settlements in several sectors. Only such actions, they believe, would instil confidence in the minds of the affected people about the government’s intentions. Reactivating the labour advisory boards and conciliatory machinery and arranging for the implementation of court orders in favour of workers could be significant steps in this direction, the labour leaders aver. Kisan leaders suggest that the rural economy can be put back on track by restoring the cooperative and other institutional credit facilities, modifying the water management techniques to suit the changing agrarian needs and ensuring a farmer-friendly procurement system. 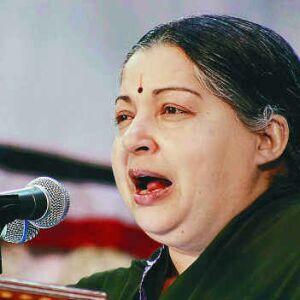 Pic 1: Chief Minister Jayalalithaa. 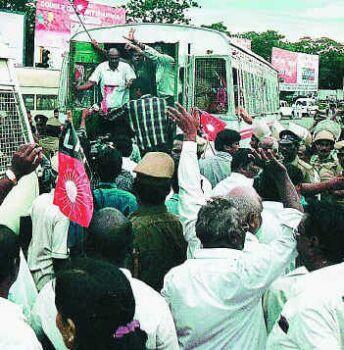 Pic 2: R. RAGU ; State transport workers courting arrest in Chennai during the strike in 2001.
in Frontline, volume 21, Issue 12, Jun. 05 - 18, 2004.